PDP X7 series 7 peace drum kit. 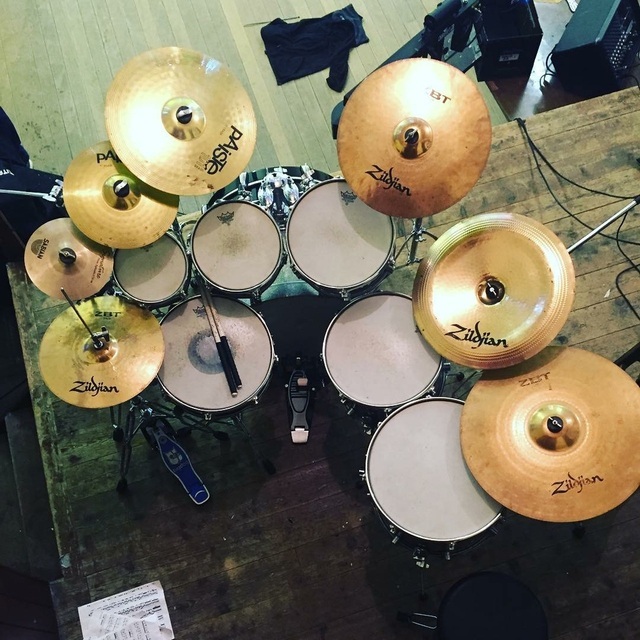 Zyldjan Crash and Ride Cymbals. bulldog Hardwear. Evans 360 Drummheads.